PQA member organizations have the opportunity to shape and inform measure development from measure conceptualization through specification, endorsement, and use. There are multiple engagement opportunities for member organizations and their representatives. Larger groups, composed of PQA members, to provide input to Measure Development Teams and Task Forces on measure concepts under development. Key contacts from PQA member organizations appoint individuals from their organization to participate on these panels, which meet every other month via webinar. Small, technically proficient teams composed of PQA members and external experts who apply or are invited to develop measure concepts. Applicants are selected based on knowledge and expertise aligned with the specific measure concept(s). Task Forces are convened when external expertise is necessary, oftentimes in measure development areas that are new or complex. These groups meet monthly via webinar. A small group of individuals, invited by PQA’s staff, to inform PQA’s measure implementation strategy, including identifying implementation opportunities for both PQA-endorsed measures and measure concepts under development. The Implementation Advisory Panel meets quarterly, including in person at the PQA Annual Meeting and PQA Leadership Summit. The MAG is composed of leaders who are engaged in the measure development process and/or have an understanding of the national measurement landscape and priorities. The MAG is convened up to quarterly via webinar to review and provide input on measure concept ideas that meet clinical needs, align with the National Quality Strategy, and address measure gaps based on literature review and environmental scans. The MAG rates potential concept ideas using the criteria of importance, feasibility and usability & use. 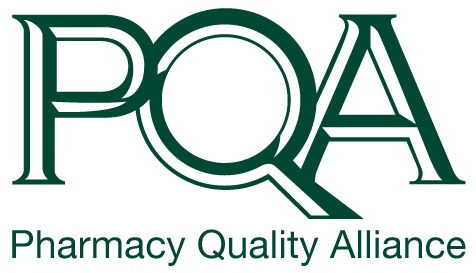 A small group of individuals, who apply for and are selected by PQA staff, to review PQA-endorsed measures to ensure they continue to align with current clinical evidence and/or guidelines and that the measures remain viable for use in the marketplace. The Measure Update Panel meets monthly via webinar. A small group of individuals appointed by PQA staff, to determine whether the performance scores resulting from the measure can be used to distinguish good from poor quality clinical care (i.e., validity). The Measure Validity Panel meets on an ad hoc basis via webinar. A small group of individuals, selected by PQA staff through an application process, to recommend measure concepts for testing, review measure testing results, and recommend measures for endorsement consideration by PQA membership. The QMEP roster reflects PQA’s membership sectors. The QMEP meets monthly via webinar or conference line. The RAAP consists of representatives from PQA’s membership who have expertise in risk adjustment methodology, healthcare disparity research, as well organizations that implement PQA measures (e.g. health plans). The RAAP is charged with evaluating the need for clinical and/or sociodemographic risk adjustment of PQA measures, and making recommendations on risk adjustment variables, methodology, and models. The RAAP meets monthly via webinar.